Are models slowly returning to the covers of ladymags? Are models slowly returning to the covers of ladymags? 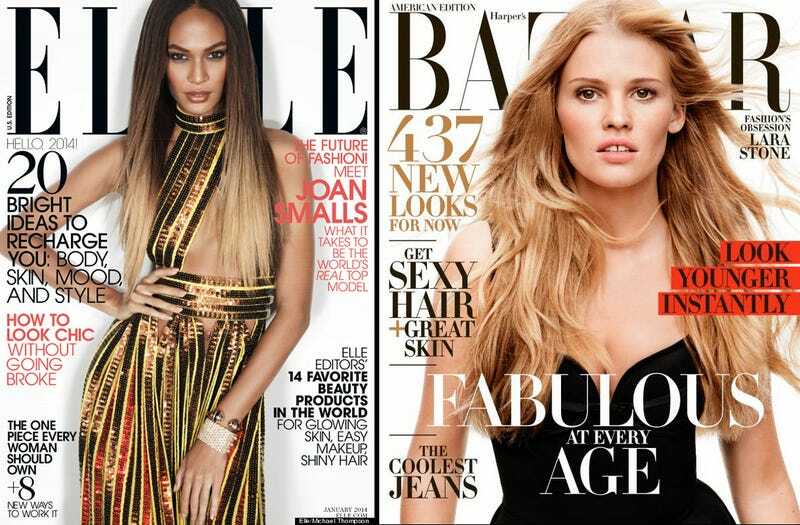 Joan Smalls was on the January cover of Elle; now Lara Stone graces the April cover of Bazaar. Back in September, People editor Larry Hackett said: "The era of the A-List movie star is over." So does the future of fashion mags look like the (model-driven) past?